...is made from a mix of all 3 colors of Maca roots: black, red and yellow. We call this blend “Heritage Harvest” because the 3 color blend is the way that people in the Andes have traditionally eaten Maca. 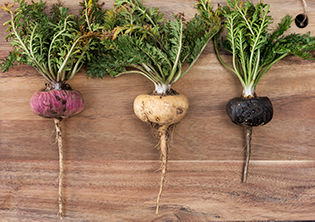 Maca roots were not separated by color until the 1990s. 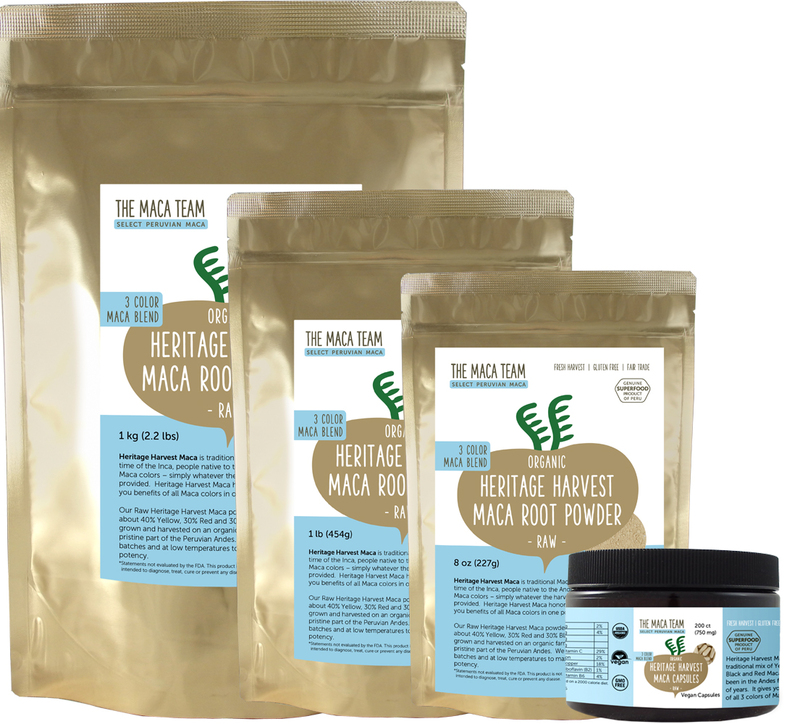 With a blend of about 40% yellow, 30% Red and 30% Black Maca roots, Raw Sundried Heritage Harvest Maca a great way to get benefits of all 3 colors.